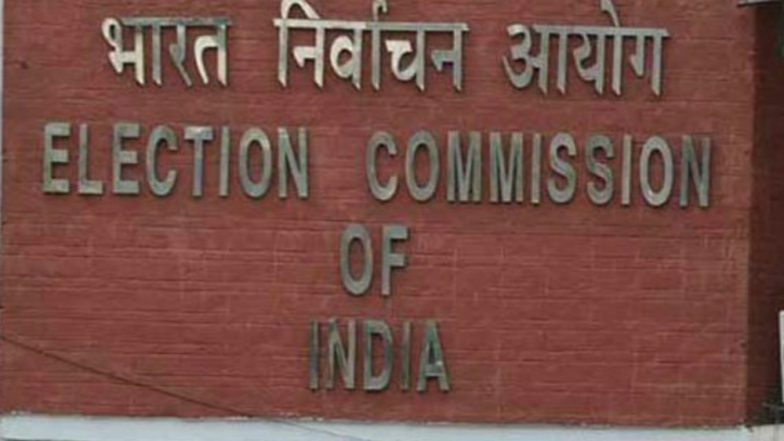 New Delhi, March 26: Election Commission of India (ECI) appointed two former Civil Servants Gopal Mukherjee and DD Goel as Special Expenditure Observers for the Lok Sabha Elections 2019. Mukherjee is an ex-IRS of 1980 batch and former Member of CBDT. He has been deployed in Andhra Pradesh and Telangana. Meanwhile, D.D.Goel ex-IRS officer of 1982 batch and, former DGIT(Inv.). He has been deployed in Arunachal Pradesh and Nagaland. Lok Sabha Elections 2019 Schedule: Voting In 7 Phases From April 11 to May 19, Counting And Results On May 23; Check All Dates For General Elections. Both these officers have extensive knowledge of search and seizure operations conducted by the I.T Department. The Special Observers will be supervising and monitoring the work being done by the electoral machinery. They will ensure that stringent and effective enforcement action is undertaken based on intelligence inputs and complaints received through C-VIGIL and Voter Helpline 1950 against all persons/entities trying to induce voters by distributing cash, liquor and freebies. the EC also appointed former Director General of Border Security Force (BSF) as Special Central Police observer. Lok Sabha Elections 2019 Phase VII: List of States And Constituencies Voting on May 19. Further, the Commission also decided to give additional charge of Gujarat and Karnataka to Shailendra Handa and Madhu Mahajan, respectively. The Commission had appointed these officers as Special Expenditure Observers on March 19. Handa would thus be Special Expenditure Observer for Maharashtra and Gujarat while Mahajan will be deployed in Tamil Nadu and Karnataka. The Lok Sabha elections will take in seven phases from April 11 to May 19. The results will be declared on May 23. The model code of conduct has already come into place from March 10. The polls will be held in 1,035,918 polling stations across the country compared to 928,000 set up during the last Lok Sabha election in 2014.